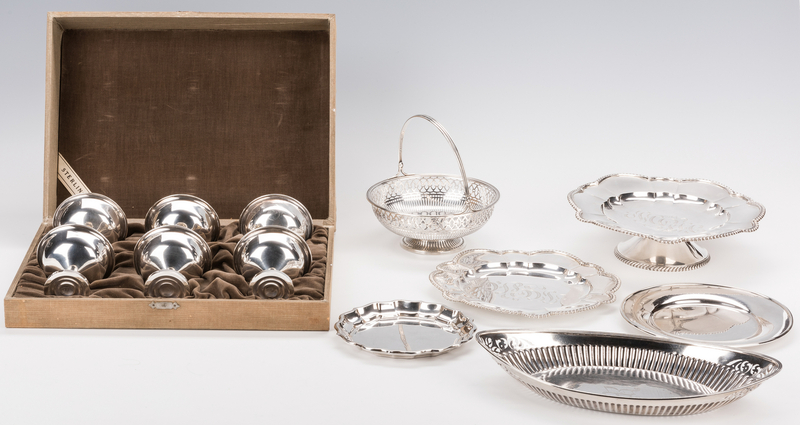 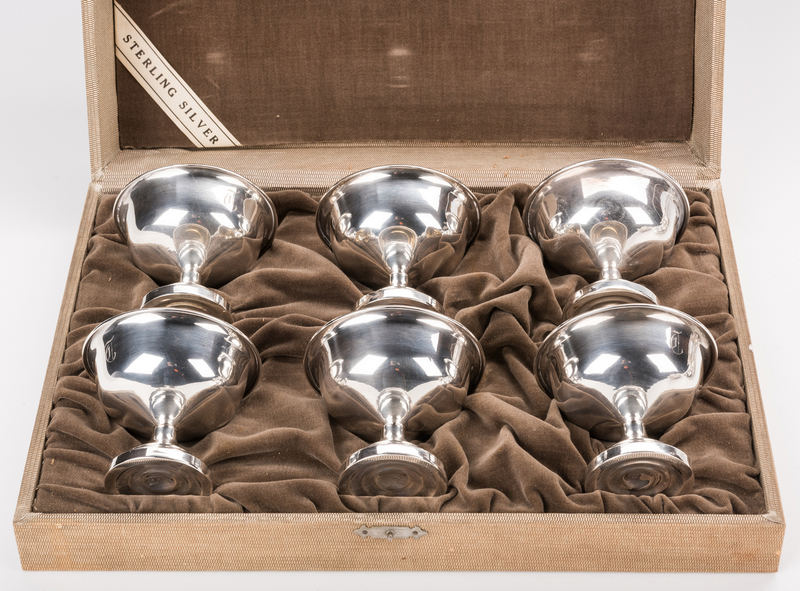 12 pieces sterling silver hollowware, including 6 sherbets in original fitted box. 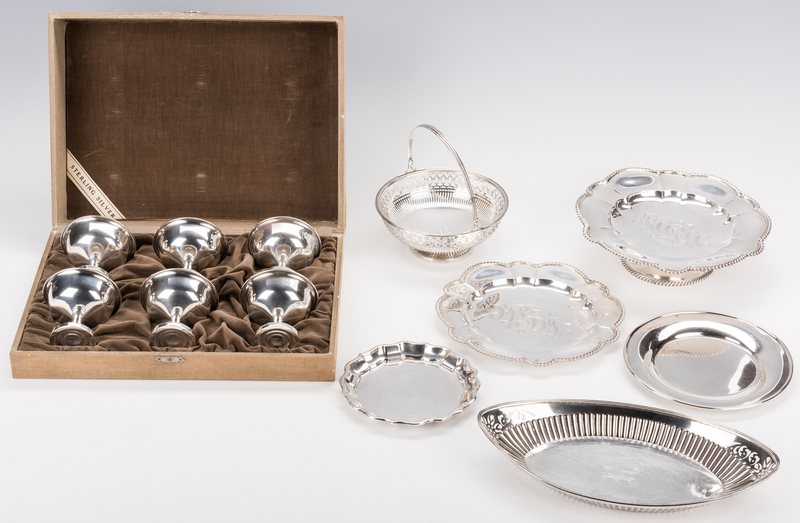 Includes 1 Tiffany 7" bread plate with inscription on back "Herb Roth Jr. from Charles and Kathleen Norris;" 1 Chippendale style sterling card tray, 5 7/8" diameter; 1 pierced round candy basket with H monogram; 1 oval bread tray with ribbed and pierced sides, monogram R, 12" L; 1 Gorham candy compote, 9" diameter, with 1 matching tray, 8" diameter, each having scalloped gadrooned edges and illegible tripartite monogram, date letter marks for 1889-1892; and 6 round sherbert or sherbet cups with weighted footed bases, marked Sterling, in a fitted box. 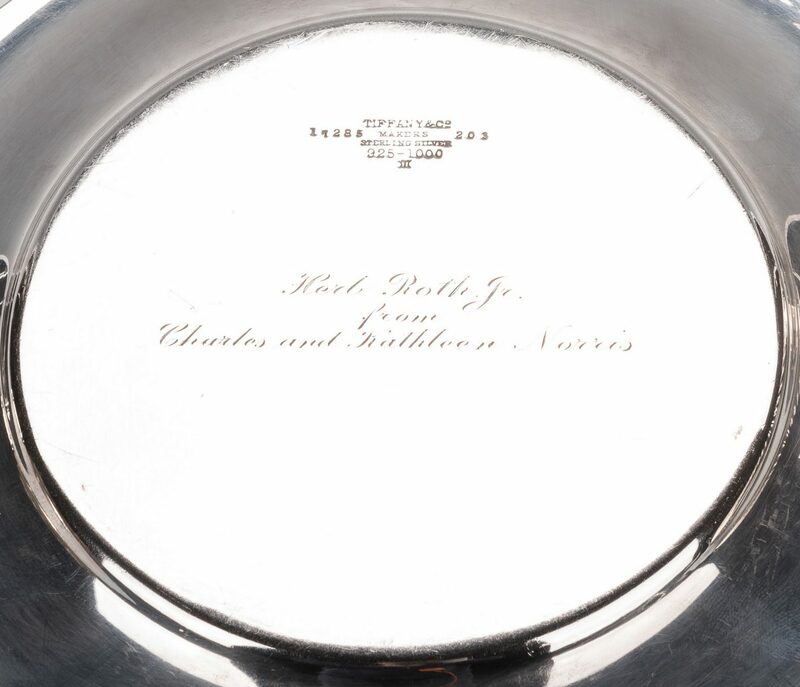 Combined weighable silver: 50.02 oz troy. 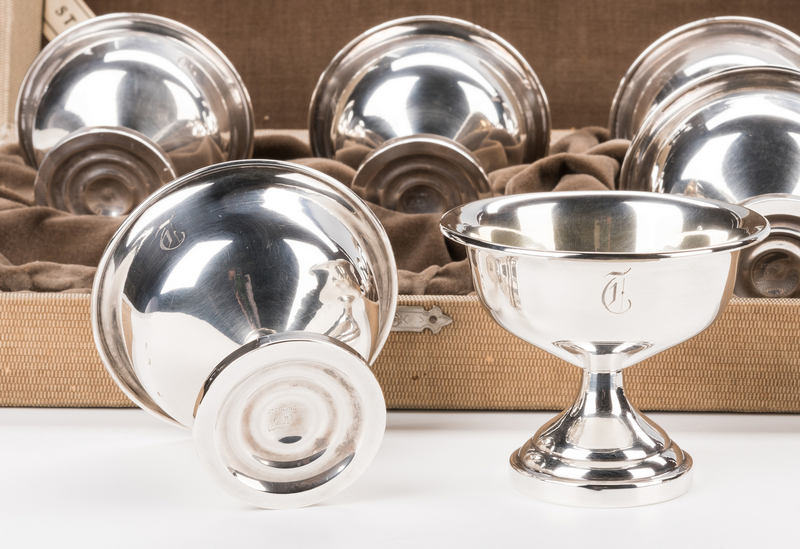 Provenance: a Brentwood, TN estate. CONDITION: All items overall very good condition with light scattered scratches and a few tiny dents except for bread tray, which has some dents up to 1" L.